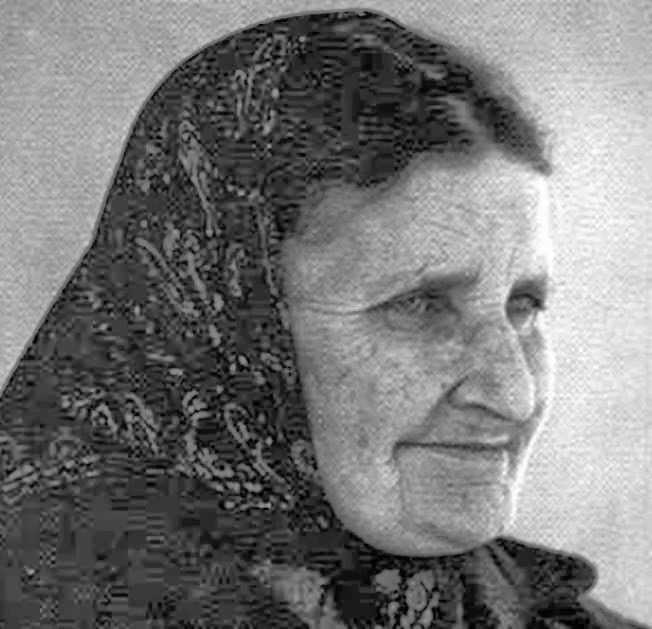 Maria Teresa Carloni, a twentieth century mystic, is better known in Poland, Hungary, Czechoslovakia, and Bulgaria than in her native Italy. Known as the “Voice of the Silenced Church”, she dedicated her whole life to the persecuted Church under the Communist Regime during the Cold War. Maria Teresa was born in Udine, Italy on October 9, 1919 into a rich and aristocratic family. At the age of four, she became an orphan, and together with her brother Adolph, went to live with her grandmother. As a child and adolescent, she suffered from terrible scruples. This together with the fact that she met some priests and religious that were not leading edifying lives, kept her away from the Church. From 1939-1943, she studied to become a nurse. Although she felt she was far from God, she offered many sacrifices for the conversion of her patients and was even fired from a hospital unit for opposing abortion. 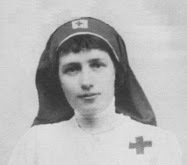 When the Second World War started, she worked as a nurse for the Sovereign Order of Malta in Rome. Because of her outstanding service, she was given the Silver Medal of Valor by the military. While she was living in Rome, she fell in love with a young doctor. This young doctor, however, was tragically killed on the St. Angelo Bridge when they were together on a medical visit at night. After the bombings of the San Lorenzo neighborhood in Rome during WWII, everyone went there to assist the wounded, including Pope Pius XII. Maria Teresa was there aiding the wounded when she saw a “priest dressed in white.” She did not recognize the Pope and told him, “Hurry, Reverend Father.” And he did as he was told. Sometime later, she accompanied the soldiers from the hospital to an audience with the Pope at the Vatican. He recognized her and said to her, “How come you have not come here in such a long time?” [meaning to Church]. Not knowing what to answer, she said, “I haven’t been well.” To this, he replied, “So, you lie to the Pope?” Later, remembering this moment, she said she wanted the ground to swallow her. After finishing a degree in Pedagogy in 1946, she returned to her native Urbania. 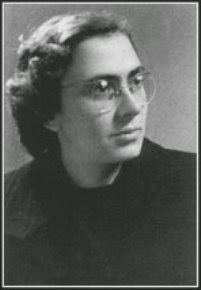 On April 16, 1951, at the age of 32, she had a conversion. She made an appointment with the Parish Priest of St. Francis Church, Father Cristoforo Campana, because her grandmother was dying. She also wanted to speak with him, and told him all about her bad experiences with the Church and that this was her final attempt to come back. Fr. Campana accepted to be her spiritual director and she returned to the Church. 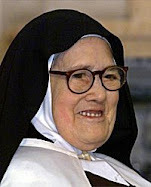 On June 16, 1951, after asking her spiritual director, Maria Teresa makes a vow of perpetual virginity. From then on, her prayer and penitential life became more intense. While working as nurse at the Bonomelli Foundation of Milano, a charitable institution, she was sent to the small town of Spotorno, to do educate children about TB prevention. Soon after her arrival there, an epidemic broke out and she was quarantined with the children. This is when her first mystical experiences started and she then began writing letters about it to her spiritual director, Fr. Campana. She felt that another person was talking inside her head and when it stopped, she would answer. At the beginning these dialogues lasted just a few minutes, but as they became longer, she used to leave whatever she was doing and hide somewhere so that people would not become alarmed. Her spiritual father, of course, was cautious, and told her not to pay attention to this Voice, that it was probably her imagination. However, no matter how much she tried to ignore this, it continued and her fighting it took a toll on her health. Fr. Campana, consulted many books about mystical phenomenon, and since her conversations were highly spiritual and he found no doctrinal error in them, he decided to allow this to continue. This took place regularly every Friday. In this dialogue, we can see the greatness of the priesthood in Jesus’ words. Jesus leaves the decision of whether the stigmata will be internal or external up to Maria Teresa’s spiritual director, Fr. Cristoforo Campana, who later became a Monsignor. “He wants it.” Fr. Campana replied. On Good Friday, April 11, 1952, [which incidentally is also the feast day of another stigmatic, St Gemma Galgani] Fr. Campana went to see her at 2:45pm and found her suffering in bed. He asked her if she was suffering much, and with her teeth clenched almost unable to open her mouth, she said, “So much.” At 3:00pm Fr. 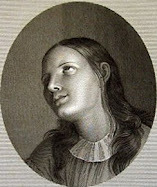 Campana witnessed her terrible suffering as she appeared to be nailed to the Cross and then it appeared she had given her last breath and expired. She remained like that for a few minutes, and then opening her eyes, she smiled and said, “It is done.” However, she was not able to get out of bed until midnight. That ring had been left at the Altar by a wife who was disappointed with her marriage. 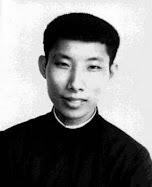 On January 4, 1953, Fr. Campana finds out that Ivana Puskin had died. Ivana was the great granddaughter of Alexander Sergeevic Puskin, considered to be the father of contemporary Russian literary language. 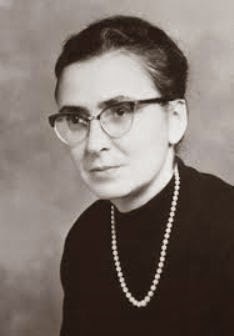 Ivana was Catholic and was active in the underground Church movement. She had offered herself as a victim for the salvation of Russia, but had purposely excluded Stalin’s salvation because of the horrendous crimes he had committed. 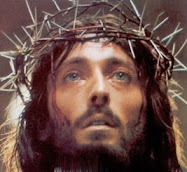 One Friday, when Maria Teresa was suffering the Passion of Jesus in her body, Jesus informed Fr. Campana of the death of Ivana Puskin and asked him to tell Maria Teresa if she wanted to take the place of this victim for the salvation of Russia and the other countries ruled by the doctrine of atheistic materialism. 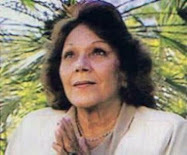 Maria Teresa answered, “If the Lord wants it and gives me the necessary strength, I accept.” With this acceptance her spiritual and physical sufferings increased and so did the demonic attacks. Maria Teresa accepted this and suffered terribly for three hours. Fr. Campana who was with her, could not stop crying and saying, “Enough.” After the three hours she came back to normal. It seems, however, that Stalin did not benefit from the grace that Jesus offered him at the moment of his death. 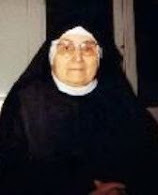 Blessed Elena Aiello, another Italian mystic, was granted a vision of hell in which she saw the soul of Stalin and a place for his followers. After Stalin’s death, the persecution of the Church in the Communist countries continued. In the meantime, Maria Teresa’s sufferings increased and according to Fr. Camapana new mystical phenomena started. One Sunday afternoon, Fr. 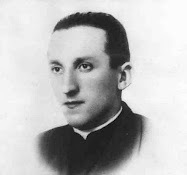 Campana heard the “Voice” tell him that Cardinal Stepinac, from the place he was confined, had managed to organize in the mountains surrounding Krasic, groups of faithful which he visited with other clandestine priests, Croatians, and refugees from nearby countries. He used to go see them once in a while to encourage their faith. That Sunday, the Cardinal’s legs were hurting him more than usual because of bad circulation, but he wanted to attend at all cost that meeting in the mountains. The “Voice” asked Fr. Campana to tell Maria Teresa if she would take the Cardinal’s pain upon herself to free him from it so that he could go to this meeting. She accepted and immediately went to bed because of the pain in her legs. In the meanwhile, Cardinal Stepinac was able to fulfill his mission. 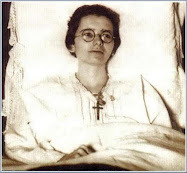 This taking upon herself the sufferings of others, together with the phenomenon of bilocation, started happening almost daily as she assisted priests who were being tortured in communist countries. Fr. 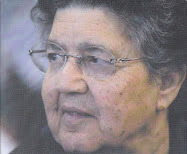 Campana noted that Maria Teresa started sweating blood on Good Friday, 1954 and bilocated for the first time on December 6 of the same year. This first bilocation was to Cardinal Wyszynski, who was suffering because of having been tortured. Actually, she became like a transmitter-receiver for persecuted persons. She could hear people calling for help from far distances. These mystical phenomena allowed Fr. Campana to make contact with leaders of the persecuted Church, who could not contact the Holy See. Through this special mission of Maria Teresa, Fr. Campana would keep the Pope up to date with what was happening in these places. Besides traveling by bilocation, Maria Teresa also traveled physically to many of these places and was able to visit leaders of the Church even in prison. Her first trip was to Innsbruck, where she met with Card. Stepinac, and visited Card. Mindszenty in prison. 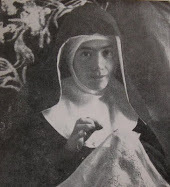 She wrote a report about this trip entitled, “From Innsbruck to Rome,” which was given personally to Pope Pius XII. Often she went by bilocation wherever she was needed. After the failed rebellion in Hungary, Fr. 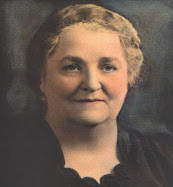 Campana sent her there in bilocation to encourage the Hungarian people. These trips in bilocation would take a toll on her physically and spiritually making her very weak. Earlier we mentioned her first providential encounter with Pope Pius XII in the Roman neighborhood of San Lorenzo after a bombing. Because of her special mission, she would get to meet many times with Pope Pius XII in the Vatican. Her spiritual father would make the appointment with the Pope. When she would arrive in Rome at the train station, a Swiss Guard would come pick her up to take her to the Vatican. She sometimes had dinner with the Pope and then they talked all night. The Pope was very interested in what was happening in those areas, he even cried when he heard of the tortures and the sufferings those people had to endure. Pope Pius XII also invited her to Castel Gandolfo. At that time, in 1955, Pope Pius XII was concerned about the Eucharist and about how Mass was being celebrated by priests. 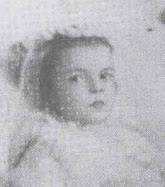 Since he knew that among the many spiritual gifts that Maria Teresa had, was the gift of being able to tell apart consecrated hosts from unconsecrated hosts, he ordered Maria Teresa to attend all the Masses celebrated on June 13, 1955 from 7-8:30 in St. Peter’s Basilica and keep a record of how many Masses where celebrated by priests who were in a state of grace, how many in a state of grace but with imperfection, how many in venial sin, how many in mortal sin, how many were sacrilegious, and how many were celebrated in a distracted manner. 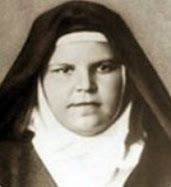 Maria Teresa later met the Pope to give him the report: Masses celebrated with attention and intention, 6; Masses where the celebrant was distracted but the Mass was still valid, 8; Masses in which the celebrant was so distracted that the consecration did not take place, 1; Masses celebrated by priests with deliberate venial sins, 5; Masses celebrated by priests in mortal sin but not sacrilegious, 2; sacrilegious Masses, 0. To this, the Pope said, “Let’s ask the Lord to give us a sign that these are consecrated.” Then suddenly, two blots of blood appeared on the two hosts that the Pope was holding. The Pope was moved to tears and knelt and so did Maria Teresa. She gave one of these hosts to Maria Teresa and told her to put it in a Theca and keep it close to her heart under her clothes. 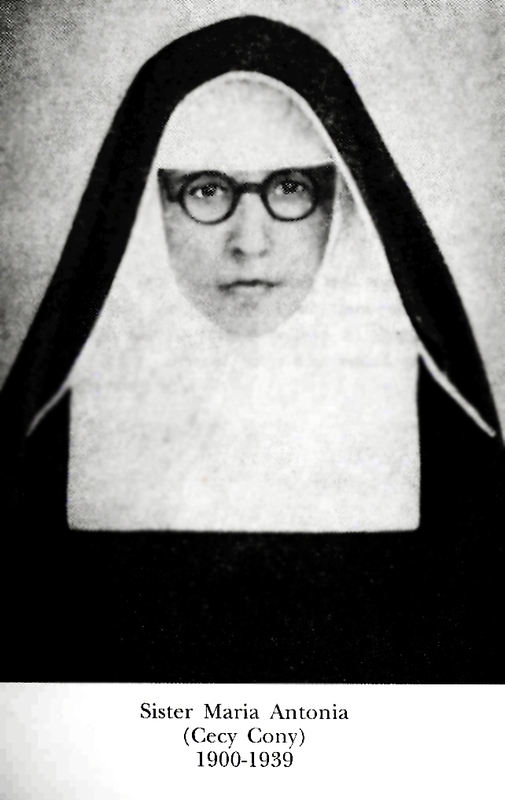 There were many meetings between Pope Pius XII and Maria Teresa Carloni. On September 30, 1956 at Castel Gandolfo, Pope Pius XII was present during Maria Teresa’s mystical suffering of the three hours of agony. 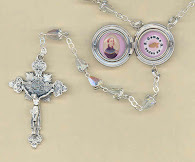 She lay on the papal bed and the Pope knelt at the bedside crying. 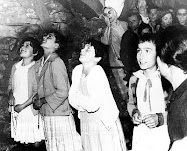 On October 9 at around 3:00am, the Pope appeared to Maria Teresa at her home in Urbania to entrust to her the Silent Church [the Church in persecuted areas under the Communist regimes]. At 3:52, Pope Pius XII was dying in Castel Gandolfo. “There are very few, even though there are many priests in the world. Good night.” and then he disappeared. 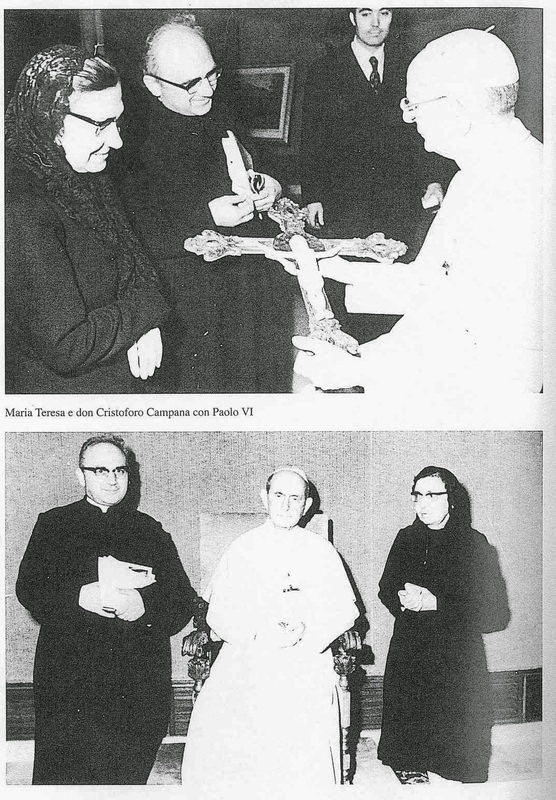 Maria Teresa had four audiences with Pope John XXIII. In the audience of December 20, 1959, in the presence of Cardinal Ottaviani and Cardinal Wedel. Maria Teresa informed the Pope of what was happening in the persecuted Church. This report was based on her visits in bilocation to the leaders of the Church in those countries from December 1-17. The Pope gifted her with a chasuble which she kept in her private chapel in Urbania. 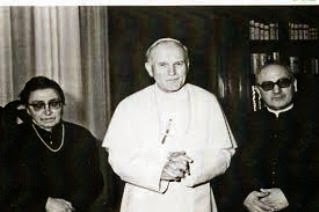 During the audience on March 1961, Maria Teresa spoke to the Pope about the problems of the Church in Sudan, after her recent trip there. She spiritually adopted many seminarians from Sudan and prayed and suffered for them. After Pope John XXIII died, she had several audiences with Pope Paul VI, who encouraged her to continue with her mission. An unknown group was ahead of us and a friar, who was their guide, led them to the inside of the Basilica. The two of us remained alone in the garden; we looked at the Kidron Valley down below and Jerusalem above. We went from one centuries-old olive tree to the next, caressing all of them with tenderness, trying to avoid the protrusion of the rocks that peek out from the ground, and we asked each other almost at the same time, “Which do you think is Jesus’ spot? We must be very close.” From behind us came the answer in perfect Italian: “You are here indeed, foreigners.” We turned around suddenly, certain that it must be a priest, but instead our eyes met a flamboyant young man, dressed in a local outfit, solemn and not excessively tall. His face was very tanned from the sun; his hair, semi hidden by a veil that covered his back down to his feet like a cape, was a copper red and long like that of a woman; his beard was the same color; his eyes which were a deep sea green revealed a look of unusual intelligence, his voice was baritone yet sweet. The tunic with the veil above his head was sky blue. His habit was white and long down to the ground and tied at the waist with a white belt. His right arm was straight along his side, his left hand, tapered and not rough like that of a working man, was holding a rough and long cane, like the ones that are still used today by shepherds. It serves as a support and to align the sheep. He was wearing sandals made with strips of leather. He was a very common man, except that he was elegant and pristine. The scene was becoming awesome: my friend was still dazed and had not recovered, he was pale, his eyes were fixed without seeing, and with his mouth open like an idiot. I could react externally but I felt tormented. The unknown voice continued, calmly and melodiously, “You were looking for the holy spot on the rock: it is here, a stone’s throw away. Put your foot here and turn you back to Jerusalem and you – he told my friend picking up a stone- throw it with your eyes closed. Where it falls, there I cried.” While he obeyed, I, trying to keep my eyes opened, protested, “You are going to break the window of the Basilica.” The hand of the Shepherd took hold of mine without saying a word. The rock flew and seemed to hit an invisible obstacle a few centimeters away from the mosaic window and fell to the ground moving itself to the left. . He said, “It is done: there I cried.” I arrived to that place before my friend because I had seen where the rock had fallen, he had his eyes closed. I bent down and amidst the barren soil the small top of a rock stuck out. He also came running and prostrated himself, he dug his hands into the soil with so much violence that his nails were broken; then he jumped to his feet and yelled like a madman with his arms towards heaven, “It is Him. It is Him. It is Jesus.” The eyes of the Shepherd sparkled with happiness and he started to go away. I, stunned by what was happening, was anxious to recover my voice as the man was walking away; finally I exploded in a cry, “Stop him. Tell him to stay with us.” My friend didn’t have much voice either but the Shepherd had ears. He was far away and little in our sight, but his words seemed to come from inside of us. He turned around, extended his right hand towards us and we heard him say, “I am not leaving you. We will see each other again.” Then he went on his way, getting farther away until he disappeared. He disappeared from our sight because he was too far. To say that he vanished would be a lie. They did see Jesus again when they were visiting Mount Tabor. Jesus remembered the Transfiguration and told them that it was erroneously referred to as a “miracle.” It was in fact the cessation of the miracle, since that was his real divine essence. The miracle was his humanity. Then Jesus continued showing them around the places mentioned in the Gospels. We were trying to imagine what it was like to be blessed [like the souls in heaven], and the Shepherd came towards us. He was always the same, only that this time his cape was red and not blue. We were sitting on the grass looking at the lake: “It is very calm here, right?” With these words he reawakened us and we did not get a chance to stand up because he had already sat in front of us. She met Karol Wojtyla during her trip to Poland when she went to meet Card. Wyszynski, who was the Bishop of Cracow at the time. 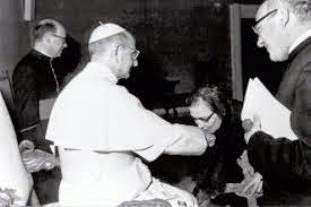 During the Papacy of John Paul II, she had two audiences with him on January 20, 1979 and February 21, 1980. She was supposed to meet with him one more time but could not attend the audience due to her poor health. All documentation about her life and activities were given to the Marian Shrine of Jasna Gora in Czestochowa, Poland. Di Chi, Alberto, and Luciana Mirri. Martirio e Speranza: Il Carisma di Maria Teresa Carloni. Perugia, Italy: Edizioni Frate Indovino, 2009. Print. Speziale, Vincenzo. Maria Teresa Carloni: Stimmatizzata.Tavagnacco, Italy: Edizioni Segno, 2014. Print. Fascinating! The Eucharist miracle was interesting and also I really liked the part where Jesus appeared to her and her friend 3 times while in the holy land. This is so beautiful. I cried almost all through reading it. It makes me feel, God truly guides our Holy Fathers and finds humble souls to assist our Holy Fathers in their mission. How this makes me love our Heavenly Father for His personal concern for us all. Thanks Julia for your kind comment. May Jesus bless you and your loved ones. What a beautiful story!! I had never heard of Maria before but would love to read more of her life. Can someone translate her epitaph for me? Wow. Great story. I had not heard of her before. The English translation of Maria-Teresa's latin epitaph is: TO ME TO LIVE IS CHIRST, AND TO DIE IS GAIN. I think that is a picture of Maria with Paul VI, not Pius XII. So one suffers for Stalin having been asked by 'Jesus' to do so and another sees Stalin in hell. Not saying it's all hysteria and mental illness but there's a lot of that too. 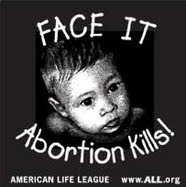 Jesus speaks about abundant life in the Scriptures yet in these 'visions' it's all misery. I do believe in self sacrificial love. I just wonder from where some of these 'stories' really come. This article is making me weep. Maria Teresa please pray for me, for my daughter' return to the Faith with her two children. That as a family we may pray together, and have peace of happiness in our homes. You said "So one suffers for Stalin having been asked by 'Jesus' to do so and another sees Stalin in hell." One can be asked to sacrifice and suffer for someone and yet because of the latter persons free will, they can still end up in hell. Do you think that Jesus did not sacrifice, pray, and suffer for Judas? And yet, where very likely do you think Judas is at this point? You see, a grave sinner is never forced to correspond to the graces that are obtained and offered for them. 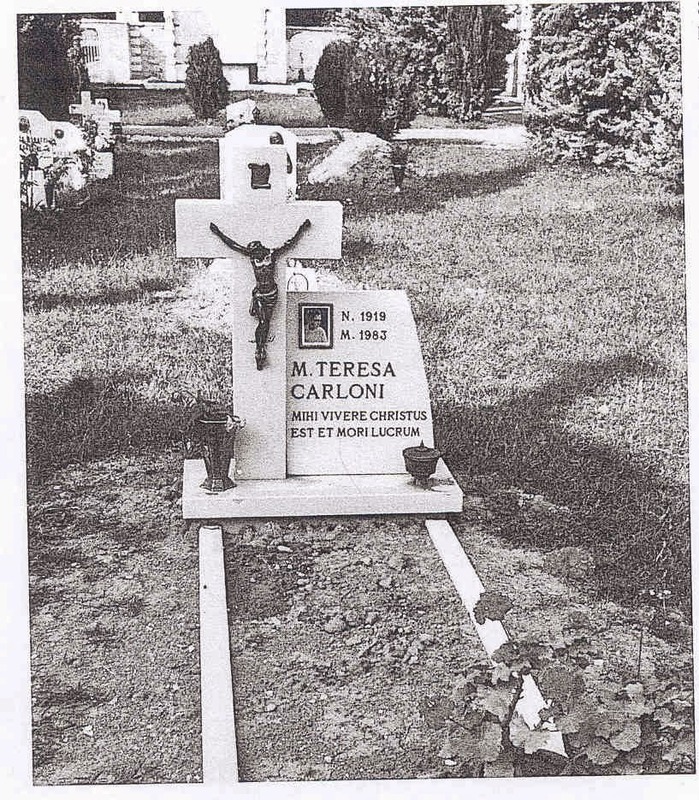 What matters is that Maria Teresa sacrificed and suffered for Stalin as asked by Jesus, regardless of where his final destination ended up being, through his own actions and choices. Thank you, Glenn, for posting this article. I cried a lot. I don't know why. I hope there is such a holy humble person who can be in the life of our present pontiff. Glenn, Have you found any testimony of anyone else who was in the room with John Paul II while Maria Teresa was apparently there from 8:30 pm to 1:00 am? It seems that witnesses would be able to verify that. Also, was Fr. 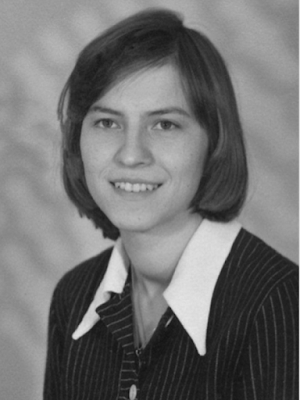 Campana or anyone with her at home while she was bi-locating with JPII? Thanks for the interesting article. This is one of the most amazing lives I've read about since learning of Padre Pio years ago! I will ask this holy woman of God to pray for my family. I have to agree with the other poster. That looks like Paul VI not Pius XII. Dear Glenn, It is upsetting to think that there were very few priests in the world in 1958 that were true priests (at least that is how I understand what I quoted from the article). If that was the case, one has to wonder how many true priests are there in the world today? Peace to you and thanks for sharing this very interesting article. I would like to thank those who pointed out the error in the photo caption---Pope Paul VI, not Pius XII---I just corrected it. You commented "Dear Glenn, It is upsetting to think that there were very few priests in the world in 1958 that were true priests (at least that is how I understand what I quoted from the article). If that was the case, one has to wonder how many true priests are there in the world today?" I can say that a number of mystics have shared this opinion, my favorite, St Gemma, being one of them. According to what Jesus has shown them it seems that He has a very high standards for His priests and unfortunately the worldliness of many of them deeply saddens Him. The channeling of the words of Jesus through the mouth of Marie Teresa was unsettling. Channeling is normally associated with occult practices. I can't think of any saints who did this. Also strange was the appearance of Jesus dressed and appearing "flamboyantly." This seems very out of character that Christ would ever appear in a flamboyant manner, which has to do with being stylish or exuberant. The whole episode of the rock throwing was strange also. The occasions of alleged bi-location don't seem to be verified by any witnesses on both ends. Shouldn't there be witnesses who would have seen her in the hospital room with John Paul II sometime from 8:30 pm to 1:00 am? Also, any person who would have seen her at her home during the same time? The quickness of her having deep mystical experiences so shortly after her apparent conversion is unusual also. Bi-location, stigmata and mystical marriage less than a year after converting? In the original account, she also made a doctrinal error regarding sacrilege by a priest causing an invalid mass or the sins of a priest effecting the efficacy of the mass. I would be very cautious about these alleged wonders without adequate documentation. If there is any, I would love to hear it. Thanks. I would keep in mind that the article is a translation of an Italian authors biography containing the visions of the mystic, so words such as "flamboyant" could simply mean brightly colored garb. As to being given mystical gifts shortly after her conversion, I would reply that the Spirit blows were It wills---Saul of Tarsus (St Paul) while sincere, was very sincerely wrong when persecuting the early Christians, yet Jesus appeared and spoke to Him on his way to Damascus to capture and imprison Christians, and immediately after his conversion Jesus began working extraordinary graces and miracles through him. 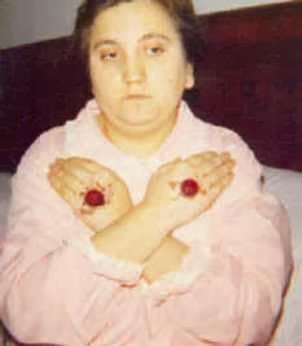 As far as providing evidence to validate Maria Teresa Carloni's bilocation and other mystical experiences, I simply don't have the documentation----sorry. I'm not saying it does or does not exist, I simply don't have it. It comes from Philippians 1:21: "For to me, to live is Christ, and to die is gain." 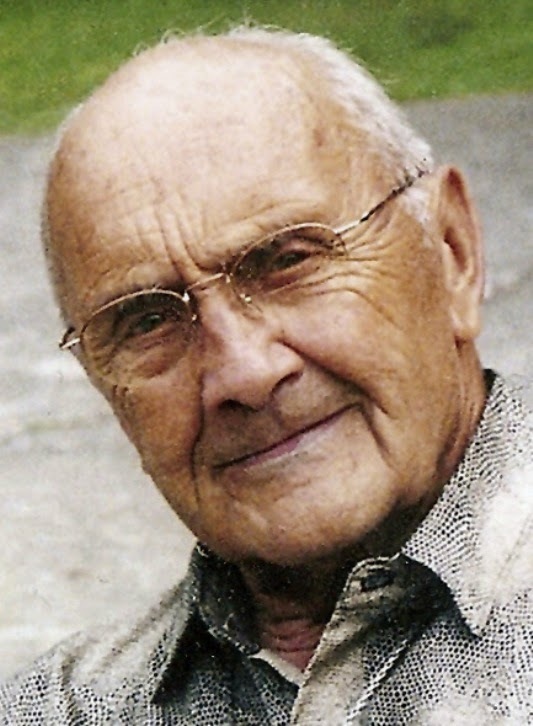 "Dear Glenn, It is upsetting to think that there were very few priests in the world in 1958 that were true priests (at least that is how I understand what I quoted from the article). If that was the case, one has to wonder how many true priests are there in the world today?" --Look to the fervent clergy of the Anglican Ordinariate in the UK, the USA, and Australia-- they have sacrificed much--friends, prestige, and pensions-- to become Roman Catholic priests. Every one I have met is wise, humble, holy, and aflame with evangelistic zeal to convert the English-speaking peoples around the globe; the bring England back to the true faith, and all the nations who ought to have been Catholic had not King Henry VIII torn England away from the Church because he could not accept God's will and remain faithful to his true wife, Queen Katherine of Aragon who died praying for the soul of her unfaithful husband. It's a blessing to cry and not know why. God is washing our heartened hearts to resemble His own...eventually. Boy have I got a lot of crying to do. Where can I read in depth about Elena Aiello's vision of Stalin in hell. I've searched Google and come up with nothing. Glenn, would you ever consider publishing everything in your website into a physical book? I am old-fashioned and love books and have an easier time reading and reflecting from a book rather than a computer screen. Great question! Actually, I do hope to publish many of these articles into a book at some point, God willing. And of course when I do I will make it available here on this website. Dear Elena Carloni pray for me and may family. Bring them back to the practise of their Faith. God's power into our spiritual lives so that we may be witnesses of His great love. I never tire of reading this article which like many others makes me cry with the realisation that Christ is with us and can come to us when we are ready to receive him. May we all increase the effort to become holy like he saints and be prepared to suffer for others. Jesus gave the grounds upon which we will be judged and the basis remains charity towards others...! May we all be inspired to practice charity as Our Lord asks of us...! Bonjour, je découvre cette femme extraordinaire, pouvez-vous me dire s'il existe une biographie en francais de Maria-Teresa Carloni ?